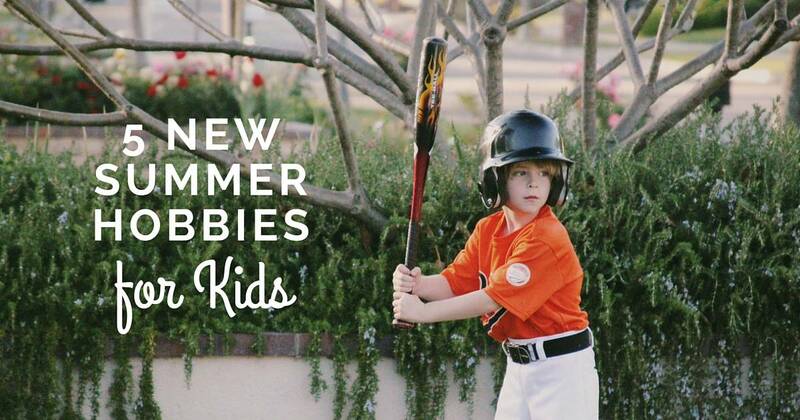 There is no better time than summer to try to encourage your child or teen to take up a hobby. Sure, summer is filled with lots of outdoor activities like going to the beach and swimming in the pool – and, let’s face it, sleeping till noon for teens. However, all that wears thin very quickly. What they waited all year long for does not seem as interesting now as it did when they were waiting for it. This is a great opportunity to step in and offer up some new hobbies for your teen or child. Summertime is a great time to take up some music lessons. There is so much more time during summer as compared to during the school year. If your child or teen is like most, they are sleeping plenty and are well rested. It’s wonderful to introduce music lessons when your child is more relaxed and has the time to actually enjoy taking up a musical instrument. It won’t feel as much as something on their to-do list as it does pure enjoyment. The possibilities for summer sports are numerous and your child can certainly find something age appropriate, fun and enjoyable that brings them together with other children or teens their age. If your child is not sure which sport he or she is interested in, signing them up for a summer sampler sports camp works wonders. In this way, your child or teen can see which sport is most likely to be the one that carries over to the school year and perhaps beyond. Summer is a great time for getting messy. Teens and children can take to painting outdoors, working with clay, sand, or any type of arts and crafts project they wish. Being able to create outdoors saves your dining room table from paint and glue accidents while giving them a sense of being close to nature. Drawing outdoors is another wonderfully creative outlet for children of any age, no matter their skill or talent level. Classes that are done strictly outdoors is another great way to get creative and get close to nature. Back in the day before summer camps were popular for summer, kids of all ages gathered around the neighborhood to build stuff from old throwaways and junk. Today’s garbage is a bit more sophisticated. Sometimes families throw out perfectly good materials such as lumber. Match that lumber up with some paint and a few wheels from an old wheelbarrow and you’ve got yourself the makings of a go-kart. Or, help your older teen build a fort or tree house of some sort. It may just be a bonding experience, after all.